Vehicle-based active shooters: Copycat or coincidence? The unassuming city of Hesston, Kansas is a recent victim of the ongoing security issue of mass casualty attacks in the United States, with three people killed and 14 wounded in an active shooter event on February 25, 2016. The shooter, an employee at local lawnmower manufacturer Excel Industries, initiated his attack by firing at random vehicles and pedestrians, then entered his workplace and shot multiple employees before he was killed by responding law enforcement. This followed an incident on February 20, where a 45-year-old man drove around Kalamazoo, Michigan, shooting at pedestrians in a six-hour spree that killed six people and wounded two others before he was detained by police. There are unusual aspects to both active shooter incidents. In Kansas, the shooter was African-American, though this form of mass violence is overwhelmingly the domain of white males. 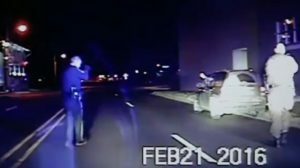 In Michigan, the shooter was employed as an Uber driver, and reportedly collected fares during his killing spree. What is perhaps most interesting about these attacks, however, is that they were both vehicle-based in some capacity. 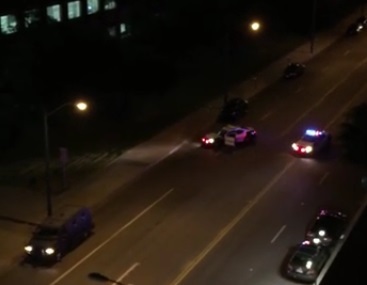 The Michigan shooter opened fire from his car at three different locations, exclusively targeting pedestrians. 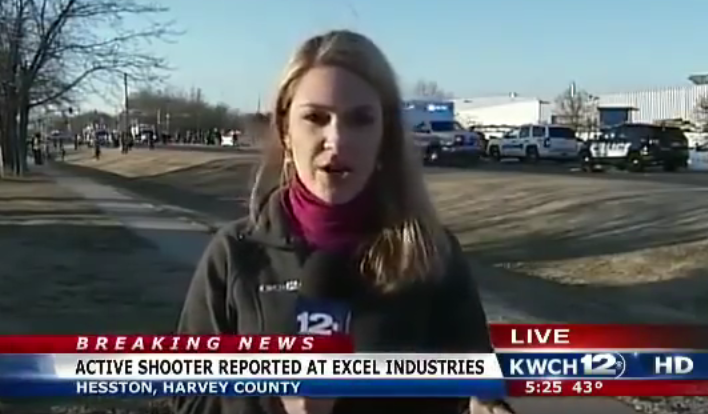 The Kansas shooter, however, opened fire on other drivers as well (“He was shooting from his vehicle into other vehicles,” the Harvey County Sheriff told The Hesston Record), though also fired on pedestrians before arriving at Excel Industries. To be blunt and clinical about it, augmenting an active shooter attack with a vehicle does potentially offer a shooter some advantages. A vehicle allows for rapid departure from the scene of a crime, thus helps to evade law enforcement; it permits an attacker to locate more victims, who may not be alarmed and therefore present targets that are easier to engage – as a point in case, Islamist gunmen fired from vehicles at multiple locations during the November 2015 attacks in Paris. Additionally, a vehicle offers concealment, a degree of protection from incoming gunfire, and a stable firing platform (for example, resting a rifle barrel on the window frame); this is particularly true if the vehicle is armoured, as was the case in an attack on Dallas, Texas police facilities in June 2015. The vehicle itself can also be used as a weapon, as demonstrated by a May 2014 active shooter incident in Isla Vista, California, where the shooter struck multiple pedestrians with his car. There are disadvantages to using a vehicle, however – the car’s design features and license plate potentially make a shooter easier to identify and spot, while mobility is restricted to roads or other open and exposed areas. Even so, two vehicle-mobile firearm attacks managed to inflict significant casualties within the final week of February. Accordingly, it bears examination as to whether the Kansas shooter was directly inspired by the vehicle-based method of the Michigan shooter. Was it simply a coincidence, or did the Kansas shooter note the precedent set in Michigan and deliberately undertake an attack using a similar method? The ‘copycat’ phenomenon surrounding active shooter events is well-established, and it is a sad inevitability that the United States will sustain another mass shooting in the near future. Two temporally proximate incidents do not provide anywhere near enough data to predict an emerging trend, of course. Nevertheless, taking a long term view, it might be pertinent for authorities – both in the US, and other jurisdictions where active shooter events have been flagged as a security concern – to keep a close eye on the potential for vehicles to increasingly form part of these attacks. The effectiveness of aggressive US law enforcement protocol in engaging foot-mobile shooters, a product of the ALERRT training program, was compellingly demonstrated in Kansas, with the Hesston Police Chief single-handedly neutralising the shooter. The complications and difficulties that can arise from vehicle-based attacks could, however, throw a spanner in police preparedness and response tactics.